How to Find the Right Divorce Attorney in Texas | The Ashmore Law Firm, P.C. Tips to Choosing the Right Attorney for You. You probably never paid much attention to the countless television commercials of lawyers talking about how they can help you with your divorce or some other legal issue. If you are like most people, you just changed the channel or fast-forwarded past the advertisement on your DVR. You almost certainly didn’t notice the attorney billboards along the toll roads and freeways. That is until you found yourself in this situation. You think you might need a divorce lawyer, but you don’t have any clue as to how to go about selecting one. Should you just choose the first attorney you see on television or should you close your eyes and randomly point to an attorney ad in the Yellow Pages? These suggestions might sound a little ridiculous, but if you don’t do your homework and ask the right questions, how are these tactics any different when hiring the right divorce lawyer for you? Hiring a divorce attorney is very different than hiring an attorney who represents people injured in car accidents or business owners with corporate matters. Working with a divorce attorney is more personal, as you generally end up divulging details about your private life and marriage. These are things you may never have told anyone else or ever will, including your closest friend or family member. Therefore, you have to feel comfortable with the lawyer you choose, but you also have to make sure that this person has the appropriate qualifications to help you. Nothing is worse than completing the divorce process and not being happy with the results or later discovering that the wording was wrong in an agreement (it does happen). For example, there was one case involving a couple who was divorcing and owned a family business together. The husband told his lawyer that he wanted his wife’s interest in the family business. A proposal was made to his wife, but she didn’t respond, so the husband’s attorney drafted an agreement that he would receive only "his" interest, instead of both his and his wife’s interest. This agreement was signed before the mistake was discovered and by then, it was too late. His wife was able to keep her interest in the business. 1. Ask your Friends & Family. Your friends and family members can be great resources for finding an attorney, especially if they have been through the divorce process already. They may have suggestions of a great attorney or may be able to point you on the right path to finding one. Keep in mind that just because their divorce lawyer was a right fit for them, doesn’t mean that he or she would be the right fit for you. 2. Contact an Attorney you know. If you have a friend, acquaintance or family member who is an attorney – that is great. Even if the lawyers you know don’t handle divorces, chances are they can refer you to someone who does. 3. Contact your Local Bar Association. The Dallas Bar Association has a local referral service that will put you in contact with a lawyer who specializes in divorce. There is a small fee for the consultation once you are connected with the attorney. The Internet is a good way to locate a qualified divorce lawyer in your area. Look for attorneys who provide educational and insightful information on their websites, as it is a good reflection of their knowledge and understanding of the divorce process. Avvo.com is a great tool to help you find information on attorneys in your area. Avvo is a Q&A forum where people can ask legal questions of lawyers, for free. The Q&A forum is backed by an online directory of lawyers licensed in the United States. Want more information? 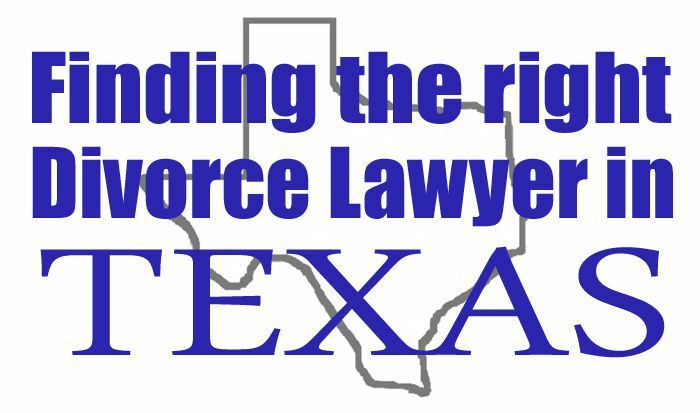 Download our Free Book on Divorce in Texas. You can also contact our office at 214.559.7202 or fill out a contact form on our website.